As mentioned in #4112 the logo shouldn't be a h1. 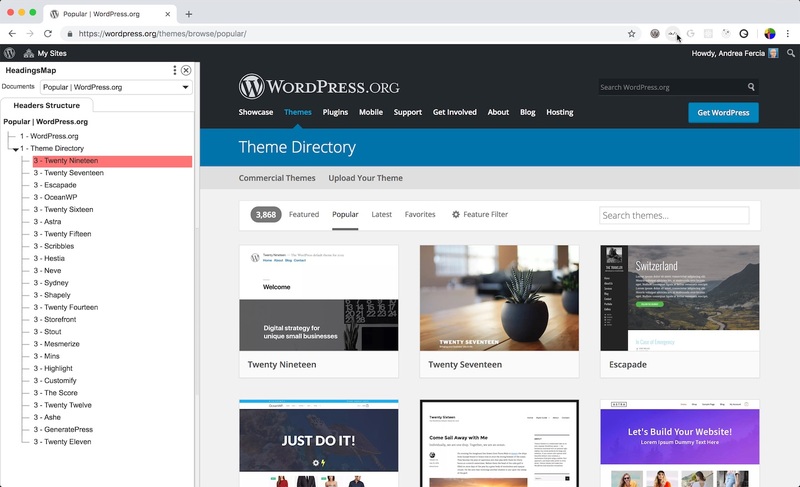 The main topic in this section is "Themes" so the candidate for the main h1 is "Theme Directory" or, maybe better, this section should use the same design used for the Plugin section. All the themes use a h3 heading so one level is skipped. Instead of bumping them up by one level, I'd suggest to add a h2 before the themes list. Worth noting in the theme details page, there's already a link-back that says "Return to Themes List". 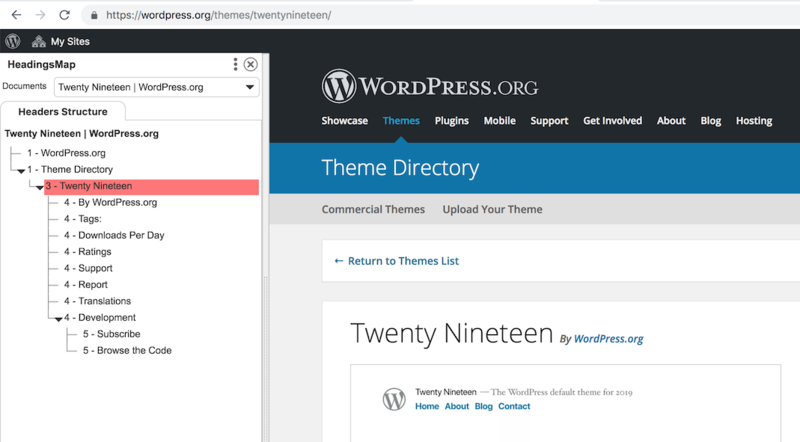 I'd suggest to add a "Themes List" h2 before the themes list. This is inconsistent with the Plugins section, where the plugin name is the main h1. Suggested: make the Theme's name the main h1, as the Theme is the detail page main topic. "Commercially Supported GPL Themes" should be the only h1 in the page. All the themes listed there use a h3. Suggested: add a "Themes List" h2 before the themes list. "Getting Started" should should be the only h1 in the page. However, this title doesn't tell users what to get started with. 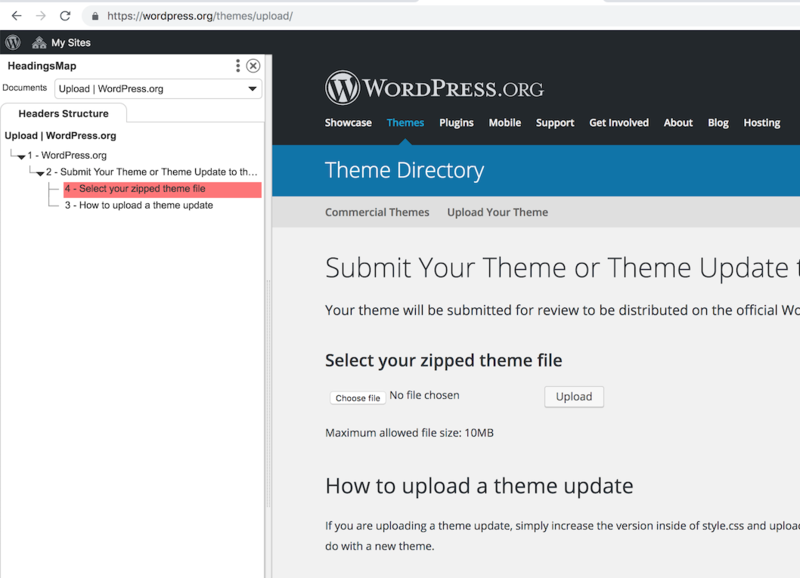 Suggested: change the title to make clear it's about getting started with uploading your theme on the WordPress theme directory. "Submit Your Theme ..." should be the only h1 in the page. The other headings should be bumped up to h2.